Pupils from Xi Guan Primary School shuffle danced with their principal during the break in northern China’s Shanxi Province on January 15. Hundreds of students follow their principal's shuffle dance steps with music on the playground. 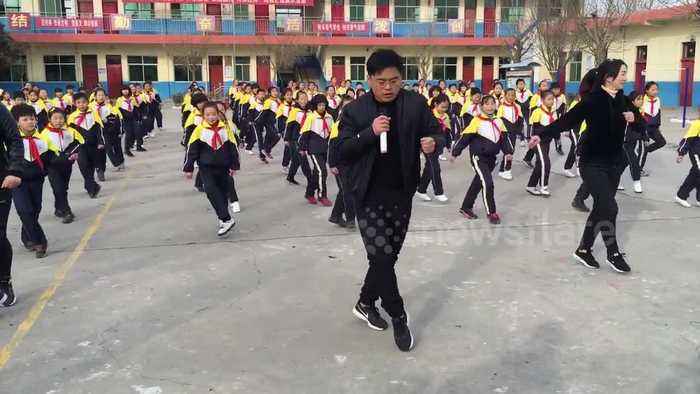 The principal named Zhang Pengfei learnt the shuffle dance himself and taught his students. He said nowadays students liked to stay in front of computers and phones without enough outdoor activities, he hoped that every student can do some exercises.